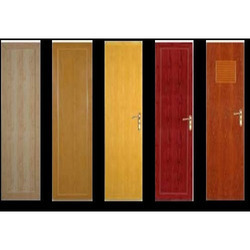 Leading Manufacturer of pvc single panel door from Cuttack. We are one of the leading organizations to offer first class PVC Single Panel Door to our valuable customers. These products can be availed at very reasonable rates. These products are used in home, office, etc. The stylish and mesmerizing products offered by us are also available in special sizes, shapes and pattern as per the demand. Backed by our trained and creative professionals, we are engaged in manufacturing and supplying PVC Single Panel Door to our customers. 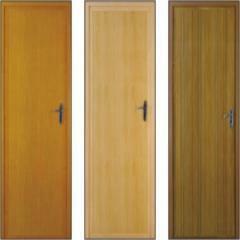 These doors have been hand manufactured using special types of wood. The most astonishing part about these doors is that they are all made on a single piece of wood. These products have earned high opinion for our organization. Height: 72" : Width: 21"
Frame: 40 mm x 48 mm Shades.